This topic explains how Cloud Foundry (CF) uses WebSockets, why developers use WebSockets in their applications, and how operators can configure their load balancer to support WebSockets. 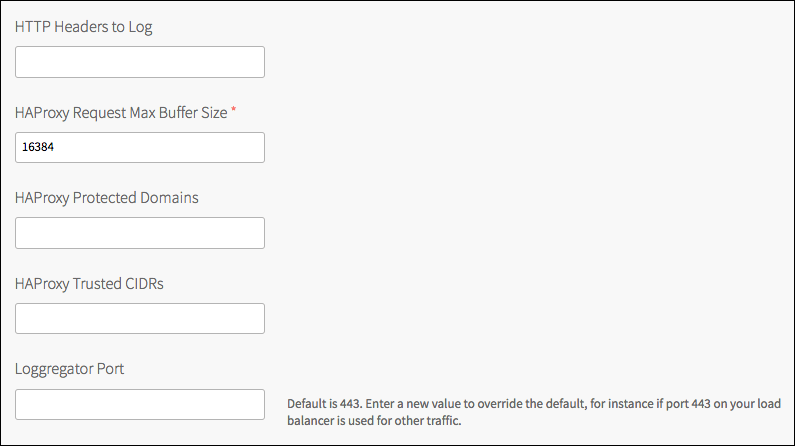 Operators who use a load balancer to distribute incoming traffic across CF router instances must configure their load balancer for WebSockets. Otherwise, the Loggregator system cannot stream application logs to developers, or application event data and component metrics to third-party aggregation services. Additionally, developers cannot use WebSockets in their applications. The WebSocket protocol provides full-duplex communication over a single TCP connection. Applications can use WebSockets to perform real-time data exchange between a client and a server more efficiently than HTTP. For more information about these Loggregator components, see the Overview of the Loggregator System topic. Some load balancers can recognize the Upgrade header and pass these requests through to the CF router without returning the WebSocket handshake response. This may or may not be default behavior, and may require additional configuration. If a non-standard port is not acceptable, add a load balancer that will handle WebSocket traffic (or another IP on an existing load balancer) and configure it to listen on standard ports 80 and 443 in TCP mode. Configure DNS with a new hostname, such as ws.cf.example.com, to be used for WebSockets. This hostname should resolve to the new load balancer interface. Note: Regardless of your IaaS and configuration, you must configure your load balancer to send the X-Forwarded-For and X-Forwarded-Proto headers for non-WebSocket HTTP requests on ports 80 and 443. See the Securing Traffic into Cloud Foundry topic for more information. By default, PCF assigns port 443 for TCP/WebSocket communications. If you have configured your load balancer to use a port other than 443 for TCP/WebSocket traffic, you must edit the Loggregator Port field in the Networking pane of the PAS tile.